I have to share with you this morning a few bag toppers I made. This time of year it seems we can always use a few small gifts for last minute gifts. Totally love them both. So pretty! What a wonderful treat bags!!! The angels are so sweet and the reindeer is so fun!!! Love them both!!! Have a great day. Such darling treats!! Love the sweet images!! Aaw, these are so cute! The little angels are so darling and sweet! I love them:) Rudolph is so fun too..great idea and someone will really enjoy these! Nana, those are SO cute and great to have around for easy gift giving! simply stunning and what a great idea for lil treat giving to people like my postman!! Oh these are so cute! I just love the sweet little angels! The bag toppers are gorgeous, I love those sweet angles and the adorable Rudolph! 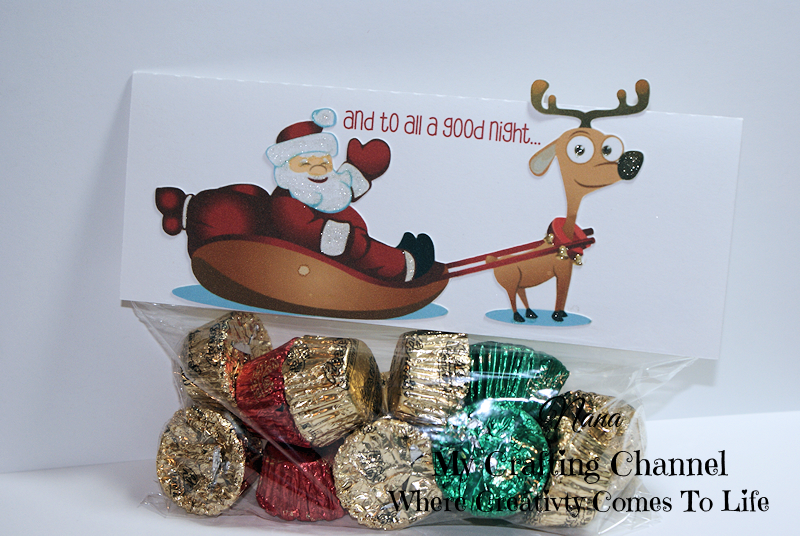 Awesome treats for the upcoming holidays! I LOVE toppers and these are so precious! Awesome job! Great treat toppers. Lovely images, Nana. Thanks for sharing with the Angels Challenge at Eureka Stamps this week! Thank you for joining us at Eureka stamps blog challenge!